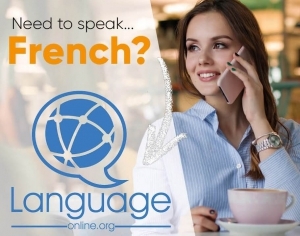 Salut, and welcome to our lesson about agreement in French, at Language Easy! It’s a chapter that requires your attention. This is part one : the general cases ; part two is about the agreement of the past participle. Maybe you also want to read again our article about French verbs to get a reminder before you start with this lesson. What is verb agreement in French? Qu´est ce que l´accord des verbes? Agreement in French (l’accord) is the art of choosing the right termination for the verbs, adjectives or other words, in terms of grammatical persons, gender and number, according to their subject or referent. In this article, we will concentrate of the agreement of the verbs with their subject, however some of the the considerations that we’ll have here are also applicable to other grammatical forms (agreement of the adjectives for example). French verbs must agree in number and in grammatical person with their subject, whether this subject is expressed or not. Les gladiateurs frappent, esquivent, puis contre-attaquent farouchement. The gladiators strike, dodge, then counter-strike with ferocity. Naturellement, le gladiateur le plus faible est vaincu. Naturally, the weaker gladiator is vanquished. Note that in the first sentence, the subjects of the second and third verbs are not expressed to avoid the repetition, but the agreement happens the same nonetheless. French verbs carry the mark of the gender only in the form of the past participle, which has the value of an adjective. In this case, it must agree in gender with the subject of the verb, like any adjective would. Marie est fatiguée, elle a beaucoup travaillé. Marie is tired, she has been working a lot. Ils sont probablement très pressés d’arriver. The past participle is frequently used in compound tenses along with the auxiliaries être or avoir, like the narration tense: j’ai mangé, or je suis sorti. You can read our article about the agreement of the past participle. If a verb has two or more subjects, and they are all of the same gender, then the agreement is with that gender. If both the genders are present, then the agreement is masculine. However, I personally believe otherwise; in my understanding, it is actually the neutral form that is used – and this neutral form happens to be exactly the same as the masculine form. Interestingly, in Latin, which is the language from which French originates, the neutral form is distinct from masculine and feminine, and its declinations are very close to the declinations of the masculine. So, this could explain that the masculine took its place when the neutral gender was lost. Visit this article on Mediapart (en français). A thousand women and a men are sitting on a bench. Two of these women are pregnant. The bread and the marmelade are delicious. Else, at the third person (Ils / elles). You and me are friends. He and you are friends. He and she are friends. They, you and I are friends. By the way, the order of the subjects here do have its importance. Not in a grammatical sense though; but we French people assume it’s a little rude to put oneself before the other (or one’s interlocutor before another third person) in such sentences. Hence, you will rarely hear someone say “moi et Jean”, or “toi et lui” in that order: it’s considered an mistake in terms of education. If a verb has multiple grammatical subjects and the action concerns all the subjects, and the agreement is plural. Jean, Pierre et Jacques sont amis. = Jean, Pierre and Jacques are friends. Le citron comme l’orange sont des fruits d’été. If a verb has multiple grammatical subjects but the real subject of the verb is unique, then the agreement is with the corresponding grammatical subject. For instance, it happens when all the subjects express the same idea, or express possible choices. The agreement is done with the subject the closest to the verb. Ton amour de Dieu, ta foi est forte. = Your love of God, your faith is strong. Un appel, une carte postale sera bienvenue. = A phonecall, a postcard will be welcome. It also happens when one subject is real and the other one is for comparation or exclusion purpose: then the agreement is with the real subject. Ton amour, comme ta foi, est fort. = Your love, like your faith, is strong. Plus que mon père, ma mère a été présente. = More than my father, my mother was present. Ni Jean, ni Marie n’est idiote. / Ni Jean, ni Marie ne sont idiots. = Neither Jean nor Marie is an idiot. Jean ou Marie passera te prendre. / Jean ou Marie passeront te prendre. = Jean or Marie will go and fetch you. Collective nouns (les noms collectifs), although singular, convey the idea of multiple entities (a group, a crowd…); similarly, we can refer to a fraction of a group using fraction words (half, part of…). So, in cases like these, do we choose to do the agreement with the collective / fraction noun, or with their complement? When a singular collective or fractional noun is used before a plural noun, the agreement is done on either, keeping in mind that the meaning might differ between the two options. Une partie des invités était en retard. = Une partie des invités étaient en retard. = Part of the guest were late. Une multitude d’oiseaux s’est rassemblée pour préparer la migration. = Une multitude d’oiseaux se sont rassemblés pour préparer la migration. = A multitude of birds gathered to prepare the migration. Un quart (m,s) de la moitié (f,s) des foules (f,pl) de spectateurs (m,pl) … est parti / est partie / sont parties / sont partis. Et voilà, we reached the end of our lessons about verb agreement in French. There are quite a few more particular cases than the ones I mentioned here, however they’re what they are: very particular cases, and I choose not to list them here. However, I hope you’ll take this as an proof that French grammar is actually driven by the meaning! Don’t forget to read part two: the agreement of French past participles.